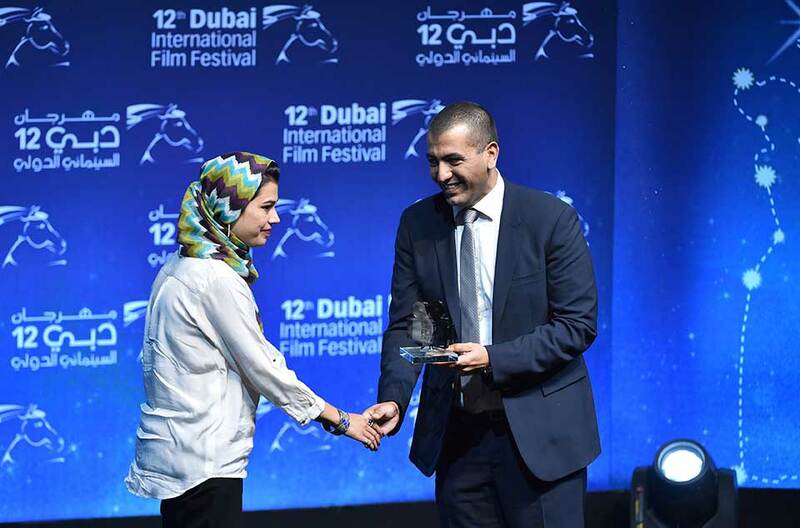 The winner and runners-up of the Samsung SHRT FLM CNTST were announced as part of a glittering awards ceremony on the closing day of the 12th Dubai International Film Festival on 16 December. Winning a trip to the 69th Cannes International Film Festival in France in May 2016, and a spot for his film in the festival’s Short Film Corner, was Dorukhan Turan for his short ‘The Act’. Thamar Mon was named first runner-up for his film ‘72KG’ and Salman Ahmad received the third prize for his film ‘Salesman of the Year’. The Samsung SHRT FLM CNTST was launched in 2014 to support the aspirations of the UAE’s creative minds, and saw phenomenal interest in its inaugural year, sending two accomplished filmmakers to the renowned Cannes International Film Festival. The contest calls on all aspiring filmmakers, art students and film fans to get creative and submit films of any style or genre for a chance to win and have their creation screened at the Short Film Corner at Cannes Film Festival in 2016. The Samsung SHRT FLM CNTST has offered twenty-five people the chance to hone their craft with guidance from Emirati director Nayla Al Khaja, Samsung and the Dubai International Film Festival (DIFF). Eight films were shortlisted to compete for the prestigious prices, with Dorukhan Turan winning the first prize for his short film titled ‘The Act’.